We have a unique topic on this episode of Cover the Bases. Rather than the biographies, histories and memoirs that we usually speak about, instead we cover myths, legends and ghost tales with Dan Gordon. Dan is a Thomas J. Watson Fellow and has covered the game of baseball internationally, but discovered the folklore and story telling near his home on Cape Cod MA., leading him to seek out those same types of stories in baseball. His first book is Haunted Baseball: Ghosts, Curses, Legends, and Eerie Events published by Lyons Press. He has a followup book coming out in the summer of 2010 called Field of Screams. There is a web site to find information about his books at HauntedBaseball.com. With his co-author and classmate from Union College, Mickey Bradley, Dan headed off to his first Spring Training with a few ideas and some access to players. With a bit of apprehension his first interview was Turk Wendell, one of the most superstitious and colorful characters in the game. Turk’s initial advice was to “go talk to the Yankees” which seemed to be a common response. The book opens with the Yankees in their Spring Training facility called Huggins Stengel Field. The team trained there from the 1920’s up through the Sixties, and carries many stories from local residents and grounds crew. Dan always makes it a point to visit some of the old facilities around baseball since they have a great chance of catching a glimpse of nostalgia. It is said at Huggins Stengel that you can see Babe Ruth’s apparition and Casey Stengel sitting in the dugout, as well as noises of card games in the clubhouse. It is fun to envision players such as Ellis Burks relating a story to Dan about frightening C.C. Sabathia and Coco Crisp while on the Indians. Or the time when Jay Gibbons was embarassed about telling the story of a ghost taking the telephone off the table and turning on the radio in a haunted hotel room. Johnny Damon is a real believer in the paranormal and gave the authors many stories of his encounters in the stadiums and hotels he frequented. Another surprise contributor to the book was Bobby Cox. Rather than the “nothing but business” on the field persona, Bobby was willing to offer up the fact that these stories are quite common around baseball. He described not only some of the superstitions around the game, but also details of his days coaching in Latin America. He reveals coaching in Venezuela where the team bus had to stop at a mountain side shrine for a common ritual, and some of his players spotting UFO’s. From the reaches of baseball history, Dan touches on the story of Hall of Famer Sam Rice who settled a baseball controversy with a message from the grave! 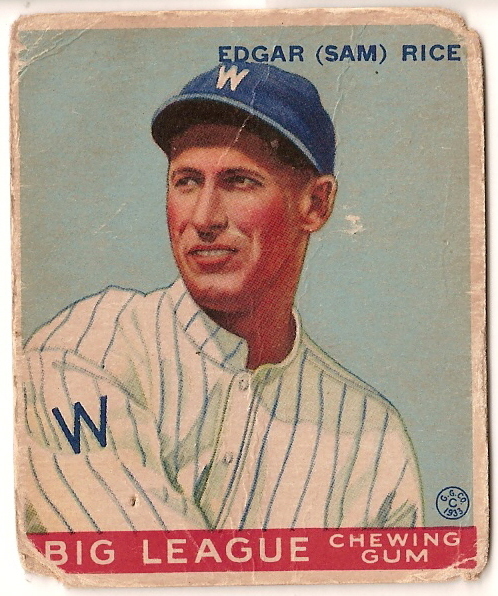 As the story goes, during Game 3 of the 1925 World Series, playing right field for the Washington Senators, Rice went back on a ball hit by Pittsburgh Pirate catcher Earl Smith. As Rice made the catch he tumbled over the wall and out of sight. 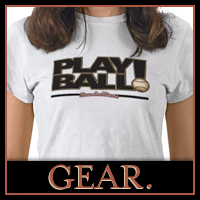 Upon standing, he had the ball in his glove and it was ruled an out by the umpire .. causing a controversy. Rice vowed to take the true answer “to his grave” as to whether he made the catch or not. Magazine’s offered money for the story but he refused to divulge his answer. He left a letter with the Baseball Hall of Fame to be opened upon his death, and in 1974 the letter revealed “At no time did I lose possession of the ball.”. Dan is a diehard Red Sox fan, so we ask to hear about his favorites. One classic tale is the fact that southpaw pitcher (and a Baseballisms favorite) Bill Lee thought that departed owner Tom Yawkey was stalking him in the form of a bird! Lee and Yawkey shared a common interest in wildlife and nature, so when Mr. Yawkey mentioned that he used to shoot pigeons in Fenway with Ted Williams, Lee warned him that based upon Hindu beliefs he would be reincarnated as a bird as a form of justice. On the day that Yawkey died, a pigeon landed at Bill Lee’s feet as he was heading in to Fenway. Lee felt that he saw Mr. Yawkey on many other occasions. 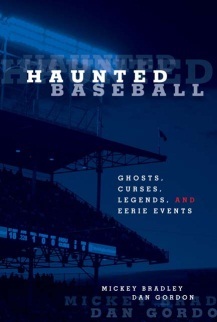 We have to extend our sincerest thanks to Dan Gordon for appearing on Cover the Bases to talk about his book Haunted Baseball: Ghosts, Curses, Legends, and Eerie Events. And make sure to look for his new book, Field of Screams due out in August of 2010, when he gets to explore more of his international interest in the game and interviews Japanese ballplayers about their stories. Please let us know in the comment section what you think about this unique approach to baseball history, as well as any other suggestions you might have for future editions of the podcast. 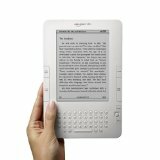 If you like hearing about the baseball books we profile on Cover the Bases, it might be time for you to pick up a Kindle from Amazon, so that you can take all the best Baseball Books with you no matter which stadiums you visit. Huggins-Stengel Field in downtown St. Petersburg is an unassuming little complex where the ghosts of not only Yankees past, but Mets too, roam the base paths. It was there in March of 1985 that I made some obscure history of my own: the first time in the twentieth century a woman was the plate umpire for a major league spring training game played between two different teams, the Atlanta Braves and the New York Mets. The event passed unheralded in the annals of baseball lore, but perhaps that's the highest compliment I could have received for my work, that my presence went completely unnoticed and ignored. As always, thanks for the memories, Joe!